Just before we left for NY for the holidays, Renzo and I decided to plant some of the more “easy to germinate” seeds directly in the ground. We carved out a small space at the land that had been cleared before our experiment. During the process, Christian (one of the neighborhood kids who lives nearby) showed up and wanted to help. 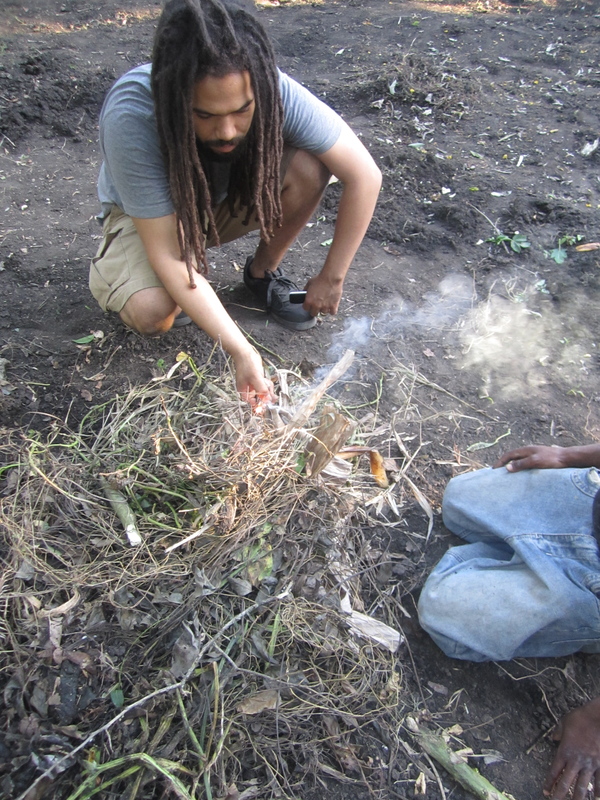 The three of us found a nice rhythm; Renzo would break up the soil with the shovel, Christian would make a small hole for the seeds, and I would place the seeds in the hole and lightly cover them back up with the soil. We worked like this for about an hour, and used stones, string, and plant labels to demarcate the areas where we’d planted different herbs. Burning mounds of dry leaves. 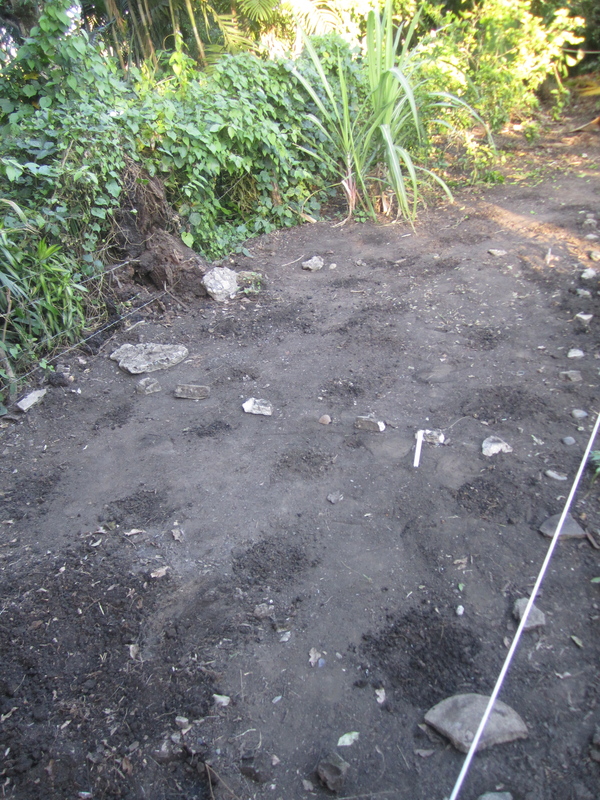 We used stones, string, and plant markers to partition the areas where we planted our herbs. 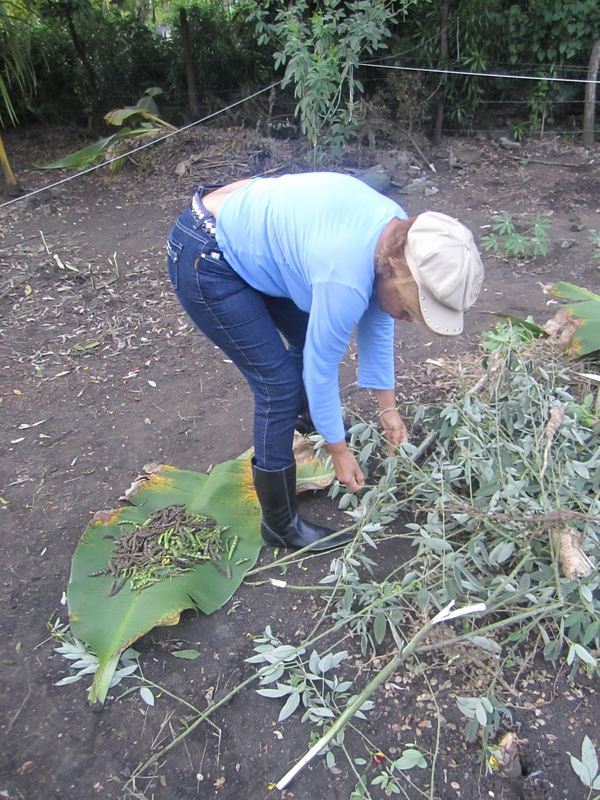 Taty showed up later to give us a ride home and we all pitched in to pick guandules to bring home. 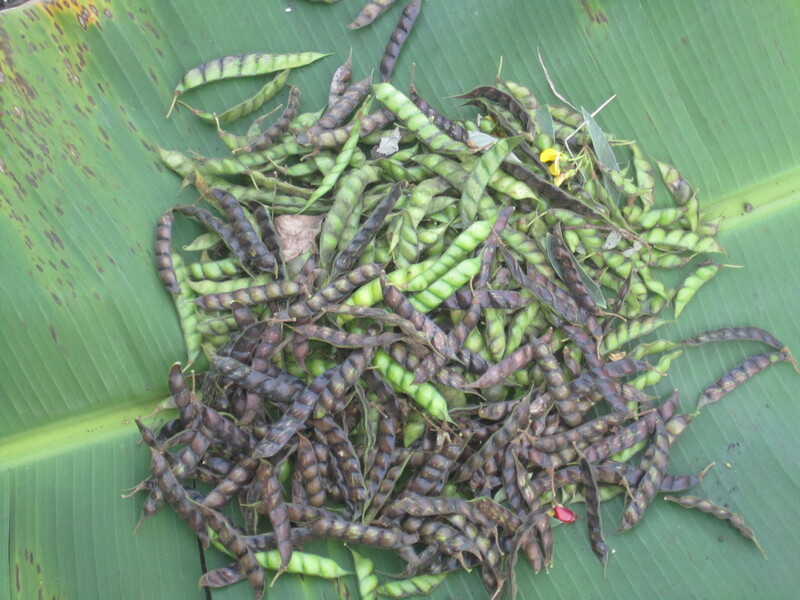 Guandules, also known as “pigeon peas” in English, are a staple of the Dominican diet. I will have to post a guandule recipe up soon! 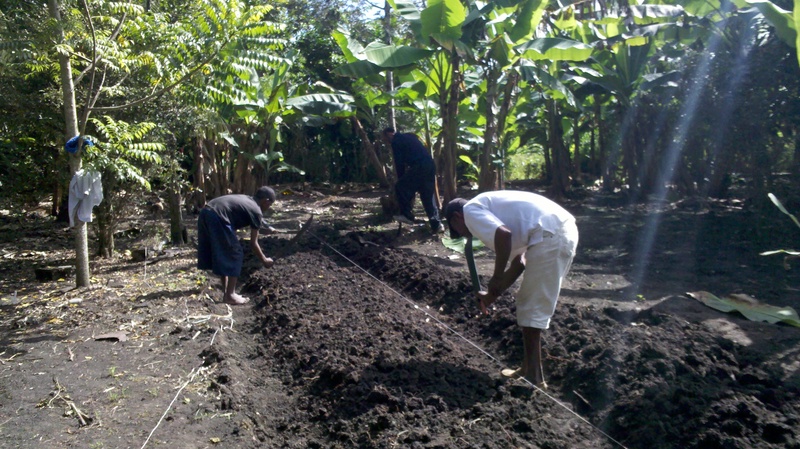 One of the first tasks we set out to tackle after the holidays was to begin making raised beds on the land. 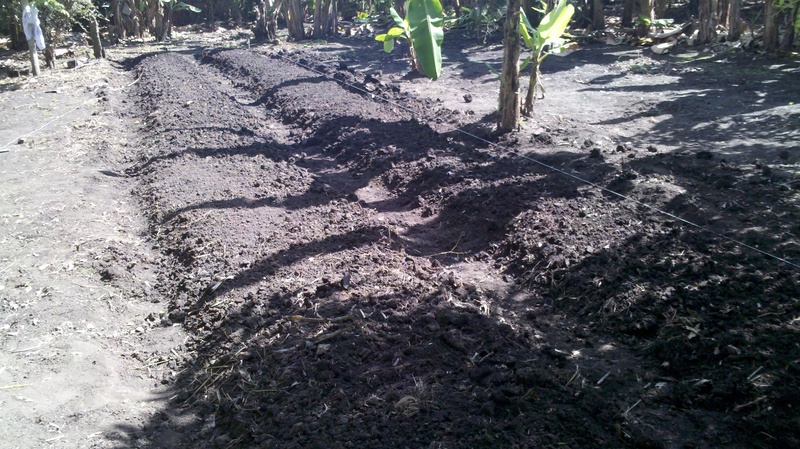 Raised beds are created by mounding up soil thereby creating small walkways from which to garden. This is helpful from a few practical perspectives. 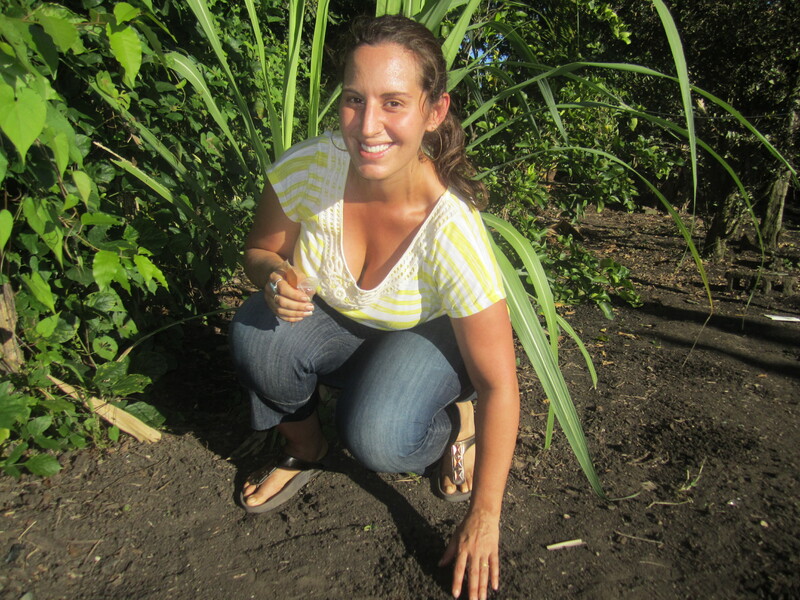 It helps to organize the garden, avoids people stepping on plants by giving them a marked place to walk, and aerates the soil while diminishing the chances the soil will become too compacted for plants to thrive. Though I had come down with something and wasn’t feeling too hot, we decided the seize the opportunity afforded by a streak of nice weather here and decided Renzo would forge ahead without me, but with the help of Nelson and his friend Jose. 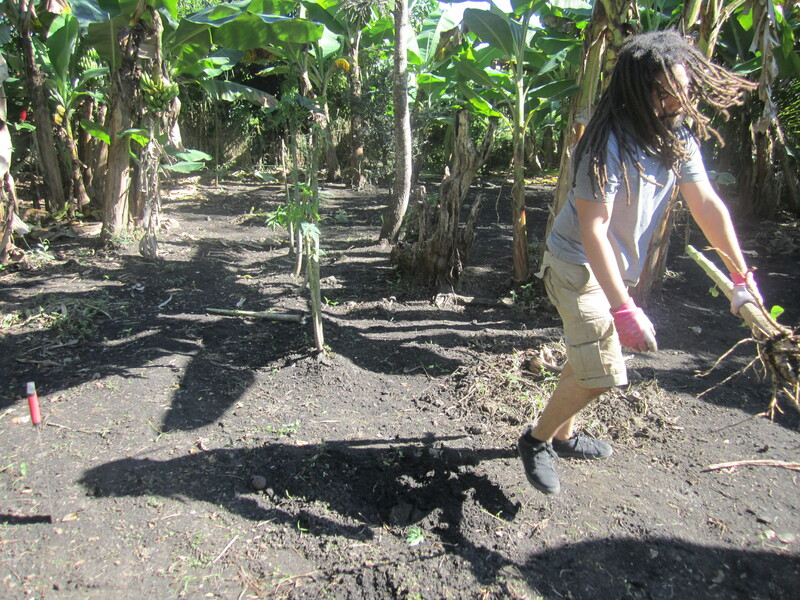 Our little friend Christian showed up again wanting to help, and despite repeated attempts by the guys to “shoo” him away so they could get back to work, he didn’t take the hint, LOL, so finally the guys gave up, handed him a machete and put him to work. Ultimately I think they were glad to have two extra hands. This kind of work definitely requires lots of energy, muscle, and gusto! Nelson, Christian, & Jose digging the raised beds. The guys worked really hard digging the beds…now we are waiting for the next sunny day to head over and start transplanting some of the herbs there! 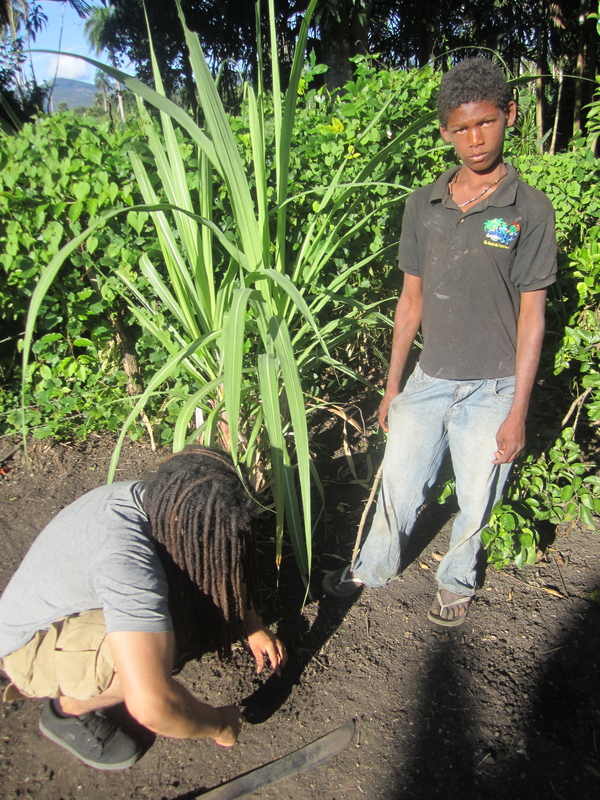 While Renzo was there digging he also had a chance to check up on the seedlings we had planted with Christian. Some of them were sprouting…so exciting! 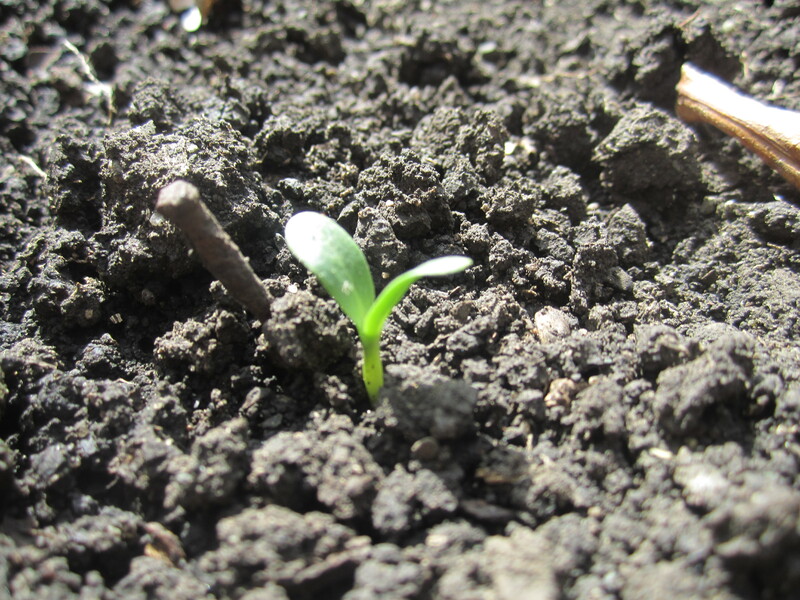 One of our seedlings sprouting! So, or shall I say “sow”, you can see there is lots of activity at the moment. We are still germinating more seeds and waiting for the plants that have sprouted to grow large enough to be transplanted. We are also figuring out which seeds we feel confident can be grown directly from seed into the ground. We are learning just how much of a waiting game it is…in the meantime the germinating seedlings need lots of TLC every day. I’ll be posting again soon, after our next art class…this week we are planning to make puppets! After 2 weeks off for the holidays I am hoping the children are excited to work on a new project!